Dale Kitchens is a Director at FRA. He has served as a financial expert witness and expert consultant in numerous litigation matters and forensic investigations, working directly with counsel on a variety of liability, causation, and damages issues in federal and state court matters across the US. He has also served as an expert witness and expert consultant in numerous commercial and financial-related arbitrations. Dale has almost 40 years of experience providing auditing, forensic investigative, litigation advisory, and financial advisory services to a broad range of clients from Fortune 10 companies to small private companies and prominent law firms. 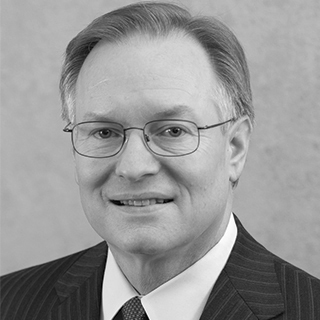 Dale’s experience includes performing financial statement audits and internal control reviews; leading numerous fraud and forensic accounting investigations related to a variety of matters for US Securities and Exchange Commission (SEC) registrants, privately held companies and federal agencies; serving as an expert witness and arbitrator in purchase-price disputes related to the application of generally accepted accounting principles (GAAP); serving as a consulting and testifying expert in accounting, auditing, and forensic accounting-related engagements, including auditor liability cases focused on the application of GAAP and generally accepted auditing standards (GAAS), including standards issued by the US Public Company Accounting Oversight Board; serving as an accounting and financial expert witness related to damages and lost profits in various civil disputes; developing accounting and auditing standards for the accounting profession and regulatory agencies; and developing and leading training courses on accounting and auditing topics. Prior to joining FRA he served as Ernst & Young’s fraud investigations practice leader in the Americas, and as a technical partner in EY’s National Audit Office developing standards and methodologies for EY’s global audit practice. He also served as an audit partner at EY serving clients in a variety of industries. Dale has also served as the SEC’s GAAP and auditing expert in several SEC enforcement cases and has served as an accounting and auditing expert and consultant for numerous other federal agencies such as the US Department of Justice, the Federal Deposit Insurance Corporation and other federal banking agencies.